Ventricular Septal Defect surgery is performed to treat the hole that separates the lower chambers of the heart. Cardiac surgeries are often considered amongst the most complicated ones and only a heart specialist can perform the treatment. Indian Healthguru has ties with the best cardiac surgeons and hospitals for ventricular septal defect surgery in India offering medical care to heart patients. Primary facilities: Indian Healthguru helps in the arrangement of medical visa, to and fro airport service, accommodation, meals, appointment with surgeon, lab tests etc. affordable:The expenses incurred in the entire travel for ventricular septal defect surgery in India are nearly 30% of that in most Western countries. Hello, I am Hannah Adiyemi from Nigeria. We visited India for my baby’s ventricular septal defect surgery through India Cardiac Surgery Site. Kay was diagnosed with (VSD), a hole in the heart and was referred to a cardiologist in my country. However, I wasn’t ready to get the surgery with lack of medical facilities in Nigeria. So, I began researching abroad to get the proper treatment for Kay. Luck would have it, I came across your website and send my query. I received a call from them and after discussion, decided to travel down to India. At the hospital, we met the surgeon who explained about the surgery. The nurses were very friendly and compassionate. The medical team was good because they were so thorough and wonderful. The surgery went smoothly. I want to thank everyone who helped us arrange my daughter’s medical treatment in India. 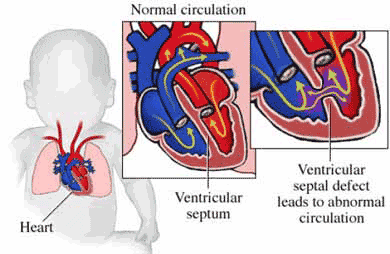 Ventricular Septal defect is a hole (defect) in the wall that separates the lower chambers of the heart. The lower chambers of the heart are called the ventricles. The wall between them is called the ventricular septum. In the normal heart, the septum prevents blood from flowing directly from one ventricle to the other. In a heart with a VSD, blood can flow directly between the two ventricles. VSD is a congenital (present at birth) heart defect. As the fetus is growing, something occurs to affect heart development during the first 8 weeks of pregnancy, resulting in a VSD. What are the Types of Ventricular Septal Defect? Perimembranous VSD — an opening in the upper section of the ventricular septum, near the valves, occurs in 75 percent of all VSD cases. Muscular VSD — An opening in the lower section of the ventricular septum occurs in up to 20 percent of all VSD cases. What Cause Ventricular Septal Defect? Heredity may play a role. Parents who have congenital heart defects are more likely to have a child with VSD than parents who do not have congenital heart defects. In some cases, VSD may be due to a defect in one or more genes or to chromosomal abnormalities. The best hospitals for ventricular septal defect surgery in India are backed by the best cardiac surgeons and the latest medical technologies offering extremely good success rate of vsd surgery.Our network of hospitals in India are located at Mumbai, Delhi, Noida, Gurgaon, Chennai, Bangalore, Ahmedabad, Nagpur and Kerala. What are the Symptoms of Ventricular Septal Defect? The symptoms of VSD may resemble other medical conditions or heart problems. How is the Preparation for Ventricular Septal Defect Surgery? If the patient is taking aspirin, contact the cardiologist to ask when to discontinue taking the aspirin. Aspirin is generally discontinued 14 days prior to surgery to minimize the risk of excessive bleeding. However, there may be a medical reason to continue the aspirin, so it is important to check with the cardiologist. If the patient is taking “blood thinners” such as Coumadin or Lovenox, please contact the surgeon. These patients may need to be hospitalized a few days prior to surgery to discontinue these medications and convert to Heparin prior to surgery. This decision will be coordinated between the patient, surgeon and cardiologist. A cardiologist performs a physical exam and multiple tests will be performed to ensure the patient is well for surgery. A chest x-ray (CXR), an electrocardiogram (EKG), and lab work will be performed as part of the preoperative process. All patients – whether they are admitted to the hospital or not - will be placed on “NPO” (nothing by mouth) status after midnight the night before surgery. Clear liquids may be allowed at the specific instructions of the anesthesiologist. How is Ventricular Septal Defect Surgery Performed? The surgery to close a Ventricular septal defect is done under general anesthesia so that your child will be asleep and feel no pain. The surgeon makes a cut down the center of the chest to reach the VSD. The child is placed on a heart/lung bypass machine during surgery. The heart is stopped, and the heart/lung machine takes over for the heart, pumping red blood throughout the body. The heart/lung machine also brings oxygen-poor blood back to the machine where it picks up oxygen. The surgeon uses a special patch or stitches to close the VSD. The surgeon puts the patch over the VSD and sews it into place. Once the repair is completed, the heart is restarted. The child is taken off the heart/lung bypass machine. The surgeon closes the skin incision. How is the Follow up Post VSD Surgery? People with repaired VSDs who do not have other heart problems and those with small, unrepaired, asymptomatic VSDs should have a regular examination by a cardiologist, but usually do not need to see an adult congenital heart disease specialist on a regular basis. Those who have other congenital abnormalities or experience cardiac complications after VSD repair, such as valve disease, coarctation of the aorta, or aortic regurgitation, or lung problems should continue to see a specialist in adult congenital heart disease. What is the Success Rate of Ventricular Septal Defect? Ventricular septal defect surgery did not become a widespread procedure until the 1960s, so long-term data on outcomes and life expectancy is only now being collected and analyzed. Available data indicate that adults with closed VSDs and without other heart or lung complications can expect to live a normal lifespan. In the 40 years that the operation has been widely used, about 6 percent of patients have required a re-operation to close small leaks that developed around the patch. So the success rate is 94 % which is considered to be good. What are the Benefits of Ventricular Septal Defect Surgery? Once fully recovered from surgery, most children are able to participate in normal activities. Children who ate poorly before surgery often start to eat better and gain weight, and are more active. Surgical repair of Ventricular Septal Defect is safe and has very few complications, as the surgeons are using sophisticated surgical equipment and techniques these days. A big bonus of surgical repair of Ventricular Septal Defect is that effects of future episodes of infective endocarditis can be prevented. Most importantly, you will enjoy the peace of mind that your child is disease free and has no sequel to fear in the future. What are the Risks of Ventricular Septal Defect Surgery? What are the Alternatives to Ventricular Septal Defect Surgery? Medications - Diuretics, Digoxin and antibiotics may be used as palliative measures to stabilize people with Ventricular Septal Defect. Septal Occluder - This procedure is similar to Cardiac Catheterization used to implant a Stent in the coronary artery. In this procedure, an umbrella shaped mesh is inserted to occlude or block the Ventricular Septal Defect. This mesh is inserted via a blood vessel in the groin and is threaded through it with the help of a thin tube called catheter. Why Ventricular Septal Defect Surgery in India? Due to the high costs of medical treatment and surgery in the United States, the waiting lists in the United Kingdom, Australia and Canada and the lack of high tech medical procedures in many third world countries, medical tourism is expected to blossom into a ten billion dollar business world-wide. Recognizing this trend Indian government, large corporations, hospitals, and doctors are flooding the medical tourism market with choices, and prices are dropping. India has excellently maintained best hospitals for ventricular septal defect surgery by stringent government controls on the policies for control of promotion and advertisement, thus not visible much in newspapers, magazines and electronic media. But certainly as good as other regional healthcare providers like Singapore and Thailand. Many hospitals in India have set up international departments to cater especially to the international patients. India is as competitive as Singapore in the quality of healthcare, through it world class facilities of hospitals and clinics, latest machines in healthcare and more over world’s best cardiac surgeons and doctors that it has more in number then any regional healthcare providers. What is the Cost of Ventricular Septal Defect Surgery? India is as competitive in cost as Thailand and much superior in terms of healthcare providers, healthcare infrastructure, English speaking staff, foreign trained specialist doctors, and strict government rulings on maintaining the high standards of healthcare delivery systems. India is the most preferred medical tourism destination as it provides low cost treatment option for international medical tourists. The cost of VSD surgery in India is almost ¼ of the cost that in UK, US and other developed countries. Having a hole in the heart seems like such devastating news when a loved one is suffering from it and a person often fails to comprehend that what would be the right thing to do during such times. However, all the doctors, nurses and helping staff at Indian Health Guru are really supportive and understanding and they ensure that you feel comfortable and positive. They explain you the entire process and the complications involved before the Ventricular Septal Defect Surgery so that you are aware of what is going on and what could happen. The best part is that they do not make you feel alone at all. 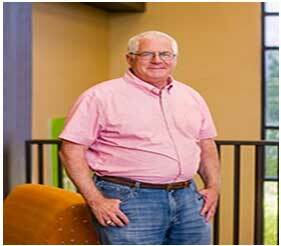 Why consider Ventricular Septal Defect Surgery in India with Indian Healthguru Group? Indian Healthguru Group is one of the leading medical value providers in India offering ventricular septal defect surgery in India from the top cardiac surgeons in India. You just have to send us a query regarding your Ventricular septal defect surgery and within 24 hours an assistant will contact you for further details and interaction. From that point everything will be taken care of by that assistant, like arranging VISA, accommodation, appointment with the doctor with round the clock services to make your medical tour hassle free. We provide well qualified and professional doctors, surgeons, physicians, and medical staff who aid you in recovery from your ailment and ensure a safe and healthy journey back home. What types of surgery are available to correct a Ventricular Septal Defect in India? There are two types of surgery available to correct a VSD, the intra-cardiac technique and the trans-catheter technique. The surgical technique is chosen based upon the nature of the VSD and associated side effects on the patient's heart and lungs. Send us a query or visit our website to know in details. Is affordable Ventricular Septal Defect Surgery in India successful for heart care? The affordability of VSD in India has nothing to do with the quality of surgery and treatment. Surgeons in India are highly-qualified and ensure maximum success rate. Why is the India good place for affordable Ventricular Septal Defect Surgery with best surgeon? The surgeons in India are highly-skilled. They are widely experienced and most have international training as well. Apart from that, the low costs of living in India make medical facilities affordable. So, India is a perfect place for VSD surgery within your budget. We accept different methods of payment like, cash, plastic cash, via et banking etc. Can I get my home country cuisine? We provide a wide variety of cuisine to our patients, but the availability may differ wit the city you decide to take surgery in, and upon the doctor’s advice in healthy diet.